It is the end of May and time to check in and see how everyone is doing with their lunch packing? We’re heading into my favorite part of the year. I long for Memorial Day weekend as it is signals the start of summer and I spend much of my free time at the pool, relaxing, reading, swimming laps, people watching while treading – I love watching the people go off the diving boards. This year, we’ve had so much rain in April and May that I’m really really longing for sunshine, warmth and a day at the pool. On days when I will be there through lunchtime, I pack my lunch with a sandwich, frozen grapes, orange, carrots and maybe a little treat. Ice packs are ESSENTIAL! I know we’ve picked up a few new Twitter followers who tweet us daily with their delicious lunches. For those who have been at it a little longer, what keeps you motivated? For those who have fallen off the lunch wagon, any plans to come back for summer? Let us know what’s up! I’m excited for summer. Especially all the fruits that will soon be in season like black raspberries and watermelon. They make a great mid-morning snack. Rob and I are lucky we both have access to a fridge & freezer at work. We like to splurge and get mini sorbet cups for dessert. We both also like these chocolate covered mini coconut milk “ice cream” bars. Gives you something to look forward to on your breaks. Budget is one reason I bring my lunch. 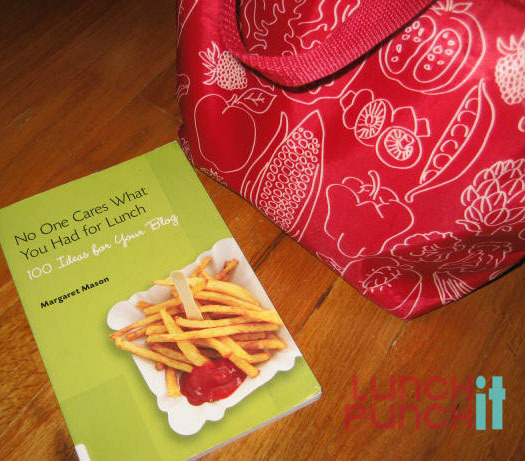 For what it costs to go out to lunch, I can bring my lunch, a beverage, and snacks for the same price or less! And of course, the food I bring from home is of a much higher quality. I’m not big on leftovers so I’m always on the look out for food that reheats well the next day. I try to have a few go-to meals that I can easily make for dinner that will give us enough leftovers for lunch.